Unexpected texture is high on the list of things I love in my knit/crochet projects. Beautiful, eye-catching texture elements are so fun to add to any project….they turn something simple into something really unique and fun. This is the idea I held close while designing my Pot Hole Cowl. I love the sort of unintentional looking “pot-holes”. When you first see them, they’re a bit of a surprise. But upon closer inspection of this symmetrical design, it’s clear they’re there for fun and frill. 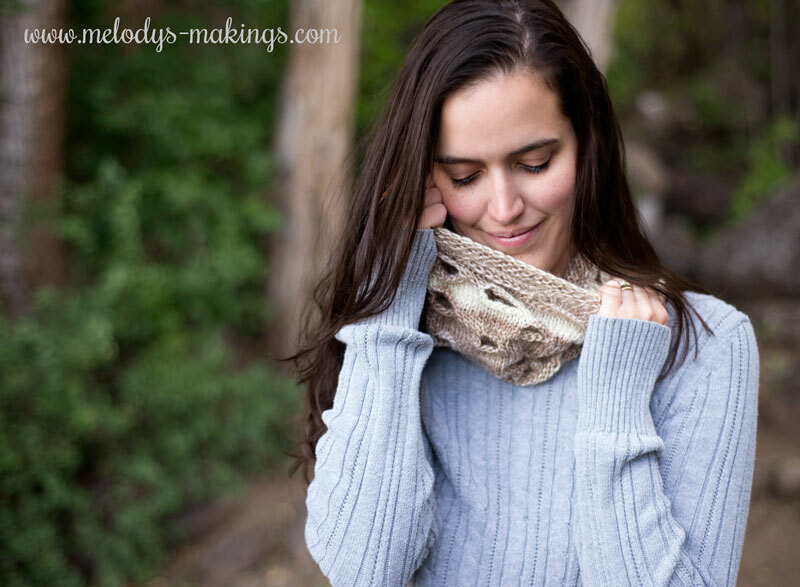 I’ve written this free cowl pattern in both knit and crochet. I used Red Heart Unforgettable for both of mine. The crochet version calls for worsted (4) weight yarn and size 5.0mm (H/8) crochet hook and the knit version calls for worsted (4) weight yarn and size 5.5mm (US9) knitting needles. Be sure to search your email for melody@melodys-makings.com if you still haven’t found it. Our emails can sometimes get stuck in spam/promotions folders. Thanks! A beautiful cowl. I can’t wait to make one. This is a nice gift for the crafter and the person receiving the FO! Thank you! 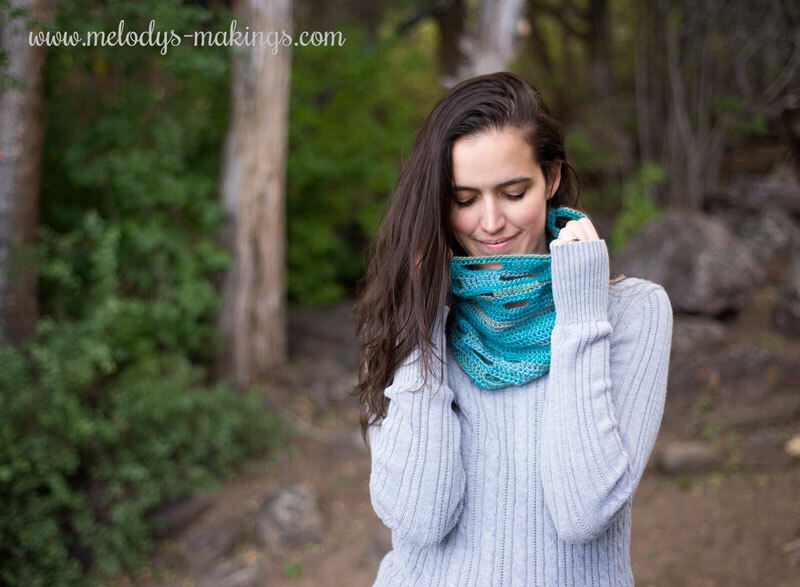 Please email my husband at nick@melodys-makings.com and request the pattern if you still don’t have it. Disappointed. Tried 3 times over the past two days, and still no pattern. Sounds like our emails may be getting held up in a spam or promotions folder. 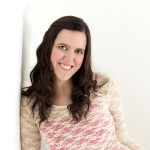 Please try searching for melody@melodys-makings.com. If you still don’t find it, please email my husband Nick at nick@melodys-makings.com and request the pattern. He’ll be happy to help. Looks like an interesting pattern. I’d like to see it more closely. Cute pattern! Looks like a quick project! Cute pattern – Looks like a fun pattern – Different – Thank you. I’m sorry it’s giving you trouble! Please check your spam or promotions folders and if you still don’t find it please email us at melody@melodys-makings.com and we’ll make sure you get a copy of the pattern. Please send me this pattern. Thank you!